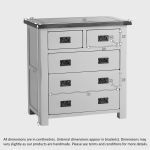 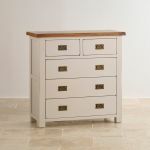 Three strong double width drawers and two single width, good and deep to keep clothes or clutter under control! 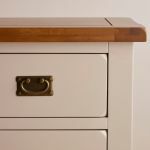 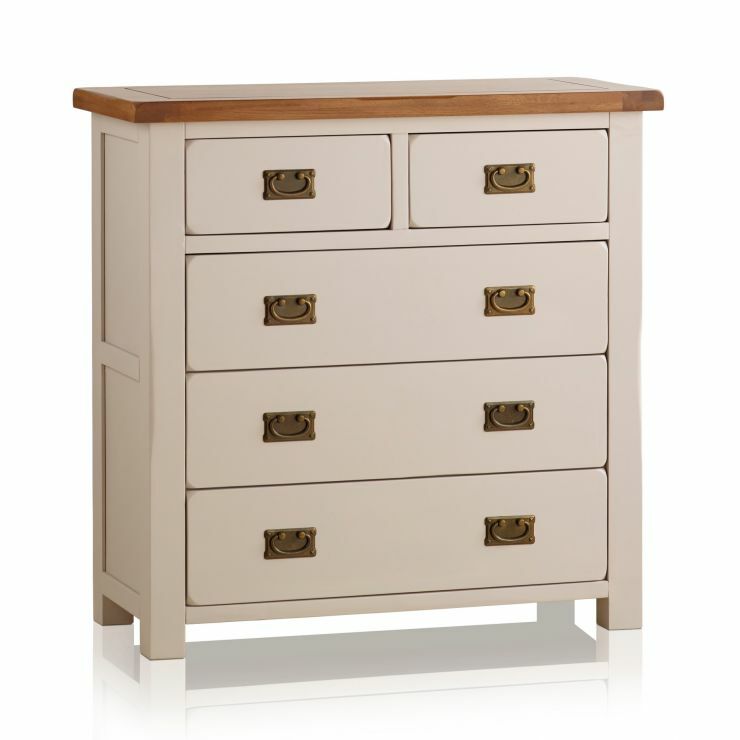 A handy chest of drawers that works with other pieces in the Kemble range. 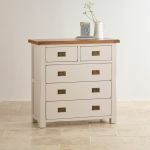 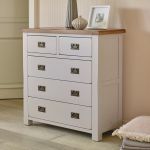 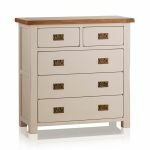 Made with solid oak tops with a 100% solid hardwood painted base, this chest of drawers is as durable as it is stylish and the putty coloured finish with lavender undertones gives it a unique look.